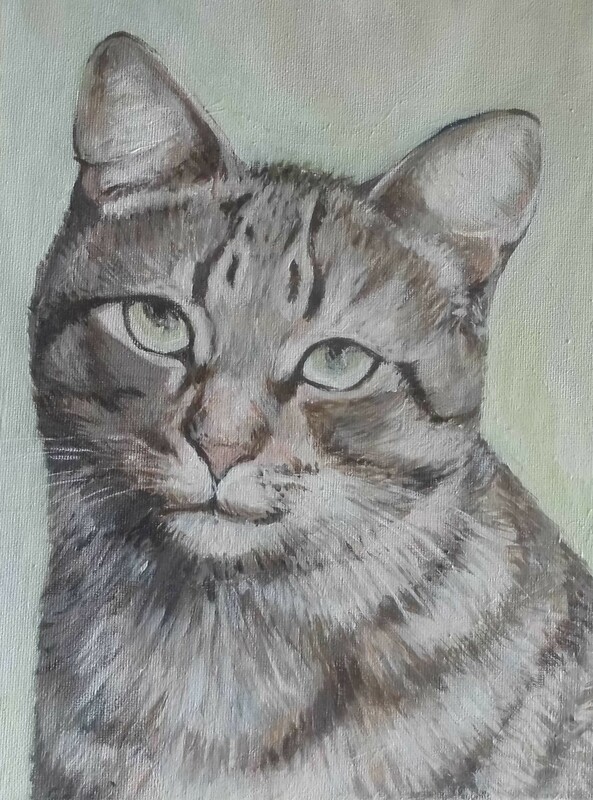 This cat portrait was commissioned as a 50th birthday present. 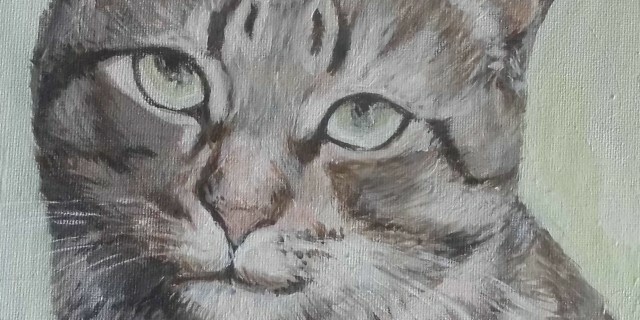 The cat is a much loved pet and the painting made a great original present. The most important thing to remember when commissioning a painting of a pet is to take the best possible photo. Photos taken with cameras tend to be much clearer when enlarged and printed than those taken with mobile phones. A close-up photo is best although your pets may make this difficult! 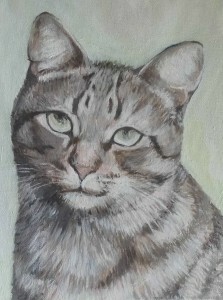 Look at Pet Portraits for more information on commissioning a cat portrait of your own.